Burial insurance comes in different types depending on how much you need. Read about types, pricing, advantages and disadvantages below. BIP Burial Insurance Plans acts as a broker for burial insurance companies. Its licensed agents help you get the best rate possible by working with its network of 25 burial insurance companies. Mutual of Omaha offers multiple types of life and burial insurance policies. Many policies come with riders at no additional cost making it a good choice if you have a strict budget but don’t want to skimp on policy benefits. Trusted Choice will put you in touch with an independent insurance agent in your area. An independent agent works for you, not for the insurance company, so he or she can shop multiple insurance carriers to get the best policy for your needs at the most competitive prices. Trusted Choice is a great option if you want to shop policy rates. Gerber Life Insurance specializes in guaranteed acceptance burial insurance. Anyone between the ages of 50 and 85 can purchase one of their plans. There are no health restrictions whatsoever. Gerber is a wise option for buyers who have been denied coverage for other insurance policies because of health risk factors. American National offers Guaranteed Issue Whole-Life insurance plans designed to cover final expenses. In most states, those age 50 to 80 are guaranteed final expense coverage from $3,000 to $25,000. We carefully considered 12 companies offering burial insurance coverage and highlighted five of the top options. We compared rates, various types of policies, terms, and benefits under funeral expense plans. Our four best burial insurance companies are BIP Burial Insurance Plans, Mutual of Omaha, Trusted Choice, Gerber, and American National Life Insurance. All stood out as smart choices. When choosing funeral insurance, it’s important to understand what kind of coverage is best for your individual needs. This guide walks you through the range of burial insurance policies available so you can feel confident about your decision. We will answer your questions, help you weigh your options before buying, and explain the advantages and drawbacks of each type of policy. Whole-life burial insurance is the only type of policy that will never expire. When calculating how much coverage you’ll need, remember to factor in increases in the cost of living. For the best rates, you’ll want to buy your policy through an independent agent or agency. 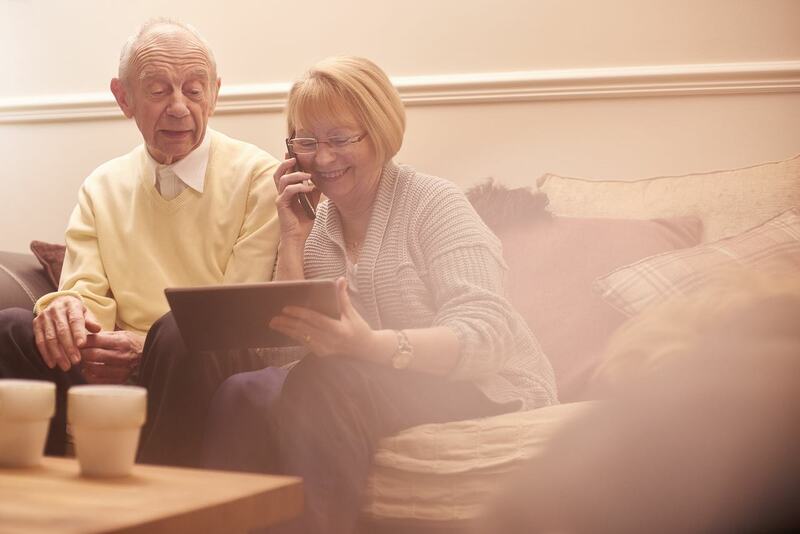 End of life planning is a topic most of us would prefer to avoid. As we consider our retirement years, we think mostly about having enough money to make it to the end of our life. Many of us overlook the fact that certain expenses continue even after death, yet we want to be sure family members aren’t saddled with thousands of dollars in burial expenses. Losing a loved one is hard enough; no one should have to carry unexpected financial stress during this time of grief. Finding a way to cover your final expenses is a gift you can give to the people you cherish most. Burial insurance is a type of life insurance policy used to cover final expenses after death. Commonly referred to as final expense insurance, funeral insurance, or pre-need insurance, these policies have some differences, which we will cover in this guide. Having peace of mind for you and your loved ones is a top benefit of owning a burial insurance policy. These plans are an excellent alternative for people who don’t qualify for traditional life insurance. If you have health problems, you may be ineligible for coverage under a conventional life insurance policy, or the monthly premiums may be too high. The older you are at the time you purchase life insurance, the higher your costs will be, so burial insurance may be a better alternative depending on your age. Smart buyers will want to weigh all the benefits and limitations before making a choice. Once you have decided to obtain funeral insurance, you’ll want to figure out how much you will need. The National Funeral Directors Association reported in a 2017 survey that the average cost for an adult funeral was $8,755. That estimate did not include the costs of burial, a headstone, and other cemetery expenses. 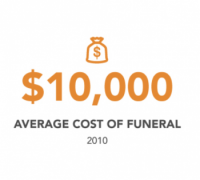 The average cost of a funeral in 2019 is between $7,000 and $11,000 according to SmarAsset. The costs associated with your funeral and burial are the bulk of your final expenses, but other factors to consider are final medical bills, legal expenses, past due accounts, and credit cards bills. It’s important to take time to estimate how much coverage you’ll need. You will have to do some research to determine what funeral costs are in your area. The Federal Trade Commission has a handy funeral cost and pricing checklist to help you calculate all the costs involved. You may also use a final expense calculator to get you an idea of a total cost. One size does not fit all when it comes to burial insurance. Knowing what kind of policy to buy can be complicated. In this section of our guide, we will explore each type of funeral or burial insurance policy available so that you can make a well-informed decision. 1. Pre-need Funeral Insurance is typically purchased directly from a funeral home or an insurance agent working with a funeral home. With a pre-need insurance policy, you are pre-arranging and pre-paying for your funeral and burial services before your death. – Funeral prices are usually locked in. Verify the price guarantee in the contract before you sign. – Spares loved ones from having to make difficult decisions about your final arrangements. You need to know: Pre-need funeral insurance is usually a whole-life insurance policy that stays in effect your entire life. Some plans name the funeral home as the beneficiary. However, some states prohibit this. 2. Final Expense Insurance is not linked to a funeral provider, and the benefits of the policy are not limited to funeral and burial expenses. 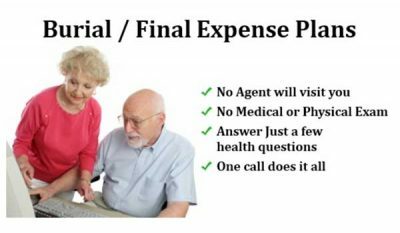 Final expense life insurance is purchased directly from an insurance agent. It is usually a form of permanent life insurance and remains in force for as long as you continue to pay premiums and will often accumulate a cash value. Coverages for final expense insurance typically range from $5,000 to $25,000, with some companies offering as much as $50,000 to $75,000. Final expense insurance is more affordable than a traditional life insurance policy since the coverage amounts are usually much lower. However, the cost will depend on your age when you purchase the policy. The older you are, the higher the premiums. – Covers all end of life expenses, not just the funeral. – Usually never expires as it is a whole life policy. – Almost everyone qualifies for coverage. You need to know: You must document your final wishes if you want policy benefits used in a specific manner. You will also need to trust that your beneficiaries will respect your final wishes. Also, some whole-life policies terminate at 100 years, so read the fine print on policy documents. – Your contributions to the fund grow with interest. – Immediate payout when needed. You need to know: Specific funeral service providers are usually linked to funeral insurance plan benefits. Because of this, be certain to contract with a reliable business that will still be around when you need them. – Covers all end of life expenses. – A good choice for people who have no other life insurance but want to cover final expenses for their loved ones. You need to know: Burial insurance is usually a term life insurance policy, so the plan could expire before you need it and the premiums could increase as you age. 5. Guaranteed Acceptance Burial Insurance is a type of burial insurance policy that provides coverage regardless of your age, health, or any other risk factor. Designed for people who are ineligible for other types of insurance due to high-risk factors, almost anyone will qualify. Because there is more risk for the insurer, these policies typically cost more. – Age, health, or a previous denial of traditional life insurance are not qualification factors. – No medical exam or questions asked. You need to know: Guaranteed acceptance burial insurance almost always has a waiting period attached to coverage. You may have to wait one to three years before coverage begins. If something were to happen to you during that time, your beneficiaries would usually only receive a return of the premiums and not the full payout. With inflation always in play, it’s smart to plan on at least $10,000 to $15,000 for funeral expenses. Once you have an idea of how much money you will need to cover all your final expenses, you can begin figuring out your budget for funeral insurance. You might want to start by putting aside a certain amount in savings. You may also want to experiment with requesting online quotes to get a better idea of actual premiums. Premiums can vary widely depending on your age, risk factors, and other terms of coverage. Research suggests that at age 70, a woman in good health might plan to pay somewhere between $15-$30 a month for a $10,000 final expense burial insurance policy. 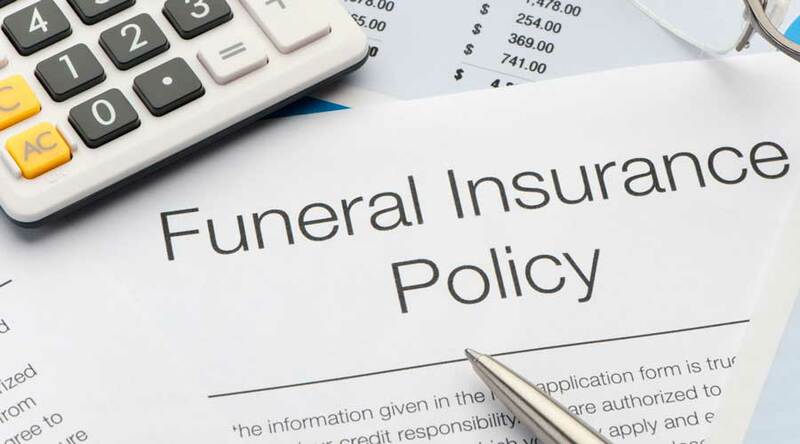 Pre-need funeral insurance premiums payout with an initial lump sum, which could cover the total amount, or in installments of three, five, or ten years. The only way to be sure of the exact cost of coverage is to talk to an agent who will help you understand your options and explain how each might fit your particular needs. Now that you have a good understanding of the distinct types of burial insurance and a picture of the costs involved, it’s time to decide where to buy funeral insurance. Your best bet for finding the right plan at the lowest rate is to buy your policy through an independent agent or agency. There are so many companies selling funeral insurance that choosing the best to work with is difficult to do. Luckily, we did the hard work for you. Our in-depth burial insurance analysis focused on each company’s reputation, ease of shopping and other criteria. We researched burial insurance companies, then narrowed the list to our top four based on specific criteria we set by extensive research of government and consumer-related end of life planning information. After doing this research, we determined which companies offered unique features or services. The result was a list of four companies with insurance agents in national and regional markets. After our evaluation, we chose the best burial insurance companies: BIP Burial Insurance Plans, Mutual of Omaha, Trusted Choice, Gerber, and American National Life Insurance. Each of these companies stood out from the competition. BIP Burial Insurance Plans employs liscensed agents to help you get the best rates on a burial insurance policy. It works with a network of over 25 companies and with one phone call, will compare multiple rates and help you lock in the best one. Screenshot: BIP Burial Insurance Plans. Other companies BIP Burial Insurance Plans works with include, Americo, Assurity, Baltimore Life, Mutual of Omaha, Gerber and more. Getting a quote is straightforward. Enter personal information like age, gender, height and weight, as well as your smoking and alcohol habits and occupation and income. Read our comprehensive BIP Burial Insurance Plans review for more information. Mutual of Omaha offers final expense life insurance through its subsidiary company United of Omaha. Living Promise Whole Life Insurance is the name of the policy designed to cover final expenses with two types of plans: a level benefit and a graded benefit plan. Both are affordable plans that pay out benefits directly to named beneficiaries. Level benefit plans are offered to individuals age 45 to 85, with coverage ranging between $2,000 to $40,000. Graded benefit plans are offered to individuals age 45 to 80, with coverage ranging between $2,000 and $20,000. Some plans include the following riders at no additional cost: Accelerated Death Benefit for Terminal Illness Rider, Nursing Home Confinement Rider. No medical exams are required. However, the graded policy has a two-year waiting period for non-accidental death. Mutual of Omaha is a solid pick for buyers wanting whole life benefits with no medical exams and competitive rates. Trusted Choice is not an insurance company, but an agency that will put you in touch with independent insurance agents in your area. An independent agent works for you, not for the insurance company, so he or she can shop multiple insurance carriers to get the best policy for your needs at the most competitive prices. With Trusted Choice, you have access to a full selection of independent agents offering a wide range of personalized funeral insurance options and a variety of coverage choices. Trusted Choice is a perfect choice if you want to shop around. Screenshot: Gerber Life Funeral Insurance. Gerber Life Insurance specializes in guaranteed acceptance burial insurance. Anyone between the ages of 50 and 85 can purchase one of their plans. There are no health restrictions whatsoever. The company offers burial insurance protection from $5,000 to $25,000, requires no medical history, and you can even purchase your policy online. An advantage of Gerber’s guaranteed acceptance policy is that it is whole-life coverage. It will build cash value, and the longer you hold it, the more it will accumulate. Gerber’s burial insurance policy has a two-year waiting period. This company’s guaranteed acceptance burial insurance is a wise option for buyers who have been denied coverage for other insurance policies because of health risk factors. Screenshot: American National Burial Insurance. American National Life Insurance offers Legacy Guaranteed Issue Whole-Life insurance plans to cover final expenses. These plans feature level premiums, competitive rates, and benefits that are paid out quickly to beneficiaries. In most states, anyone aged 50 to 80 is guaranteed coverage ranging from $3,000 to $25,000. Your rates will never go up, and the policy builds a tax-deferred cash value. This policy issues coverage immediately. Buyers who want guaranteed approval, level premiums, and competitive rates would be prudent to check out American National’s Legacy Life plans. Readers of this burial insurance guide also found these related articles helpful. Since life insurance pays a death benefit, what’s the difference between burial insurance and life insurance? This article explains. Many adult children are responsible for their parent’s final expenses. Read about how to buy burial insurance for your parents including how to bring up the subject. How do I know if I need burial insurance? If you don’t expect to have enough money to cover your final expenses or you don’t want your estate money spent on funeral expenses, then burial insurance is a smart option. Burial insurance also protects your family from unexpected costs depending on the terms of your trust or if your estate gets held up in probate and your loved ones do not have access to these funds. You may need to meet with a financial advisor to figure this out. How can I control what gets paid for with my burial insurance benefits? If you buy pre-need funeral insurance, you will have the most control over everything to do with your funeral. Final expense insurance is a good option to cover more than funeral expenses as long as you’re careful to put your intentions for the funds in writing and leave a copy with an attorney or other trusted individual who would immediately be notified of your death. Do I qualify for burial insurance if my health is failing? 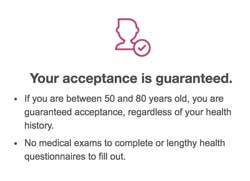 You will likely qualify with more than one company for a guaranteed acceptance policy, but your health and your age can affect the premiums you pay. Another drawback of most guaranteed acceptance policies is that there can be a two- to three-year waiting period for the policy to be in force. Is there a way to get a discount on funeral insurance? Not up front, due to regulations. To reduce the cost of this insurance, you could buy a term plan rather than whole-life, but term insurance may expire before the benefits are needed. Consider a pre-need plan to lock in today’s prices for your funeral, which will likely cost more years from now. If you are offered burial insurance at a seemingly amazing rate, read all documentation carefully and ask questions. These situations usually turn out too good to be true. I’m still confused about final expenses. What else can I do to come up with these costs? It’s a good idea to talk to a financial advisor about final expenses and burial insurance options. Check out consumer review websites for recommendations for financial advisors and ask friends and family members about who they’d recommend. Review all burial insurance companies carefully to make sure you’re getting a personalized policy specific to your needs. Funeral homes and related burial services typically need to be paid at the time of service, when your family members may not have funds available to pay for a funeral. Add in the stress your loved ones will encounter at your passing, and in many cases, a burial insurance policy is a wise choice. Get familiar with our four top picks for the best burial insurance providers, ask questions and read more on their websites to learn what Mutual of Omaha, Trusted Choice, Gerber, and American National Life Insurance can do to ease end of life costs.